Nurse Kaci Hickox, who was quarantined on her return to the US from treating Ebola patients in Sierra Leone, has criticized the way she was dealt with at Newark airport. Kaci Hickox, 33, said the experience was frightening and could deter other health workers from travelling to West Africa to help tackle the Ebola virus. Illinois has become the third state after New York and New Jersey to impose stricter quarantine rules. Meanwhile US Ambassador to the UN Samantha Power is to visit West Africa. Samantha Power will travel to Guinea on October 26, continuing later to Liberia and Sierra Leone – the three worst-hit countries. “For me the benefits of having first hand knowledge of what is happening in these countries gravely outweighs the almost nonexistent risk of actually travelling to these countries, provided I take the proper precautions,” she said on Saturday. She said she hoped her trip would “draw attention to the need for increased support for the international response”. The White House has expressed concern that strict quarantine restrictions such as those imposed in New York, New Jersey and Illinois could put off aid workers and others travelling to West Africa to help mitigate the crisis at its source. More than 10,000 people have contracted the Ebola virus, with 4,922 deaths, according to the WHO’s latest report. Only 27 of the cases have occurred outside Sierra Leone, Liberia and Guinea. Kaci Hickox, of medical charity Doctors Without Borders, described seeing a “frenzy of disorganization, fear and most frightening, quarantine” on her return from Sierra Leone on October 24. 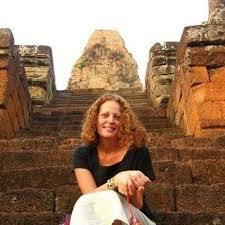 Writing for The Dallas Morning News, Kaci Hickox asked whether fellow health workers would “face the same ordeal”. “Will they be made to feel like criminals and prisoners?” she questioned. Kaci Hickox said she was kept in isolation at the airport terminal for seven hours and given only a cereal bar to eat. She also denied that she had had a fever, saying she was merely flushed because of the upset caused by her treatment at the airport. Though Kaci Hickox tested negative in a preliminary test for the virus, she will remain under quarantine for three weeks and continue to be monitored by health officials. Stricter quarantine measures were put in place in New York and New Jersey after a doctor, Craig Spencer, tested positive for the virus on his return from Guinea last week. Dr. Craig Spencer is currently being treated at New York’s Bellevue Hospital in isolation. The new measures mean that anyone who has had contact with Ebola victims in West Africa now faces a mandatory 21-day quarantine period. Illinois governor Pat Quinn announced on October 25 that his state would start imposing the same measures, without providing further details. Meanwhile, New York City Mayor Bill de Blasio said he was not consulted over the new rules, which were ordered by the state governors of New York and New Jersey. “The state has the right to make its decision, just like the CDC does, and we’re going to work with them,” he told reporters on October 25. President Barack Obama said in his weekly radio and online address that Americans had “to be guided by the facts – not fear”, reiterating that people cannot contract Ebola unless they have come into direct contact with an infected patient’s bodily fluids. Barack Obama’s comments follow the release of the WHO’s latest report, which warned that the number of Ebola cases in West Africa could be much higher than recorded, as many families were keeping relatives at home rather than taking them to treatment centers.